This workshop will introduce you to the basics of electricity and how it pertains to a solar electric system. You will also learn the benefits of combining energy conservation and solar. This workshop will introduce you to the basic components of a solar electric system: Solar Modules and Batteries. This workshop will introduce you to the basic components of a solar electric system: Charge Controllers and Inverters. This workshop will introduce you to the basic components of a solar system: Racking (Roof, Ground, Trackers). 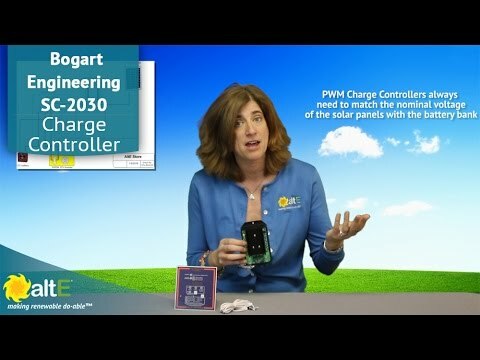 This video will explain the difference between PWM and MPPT solar charge controllers and when to use each. This workshop will cover how to Design and Select Components for a grid-tied solar electric system, including solar panels, racking, over current protection and the inverter. This video will introduce you to the NEC requirements and best practices for wiring a photovoltaic (solar electric) system. 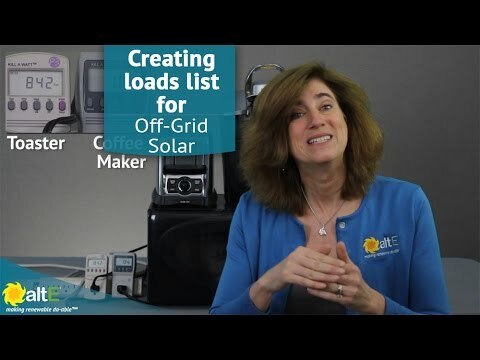 This workshop will cover how to create a Loads List for an Off Grid Solar Electric System. This workshop will cover how to size the Battery Bank for an Off Grid Solar Electric System. This workshop will cover how to size the Solar Array for an Off Grid Solar Electric System. 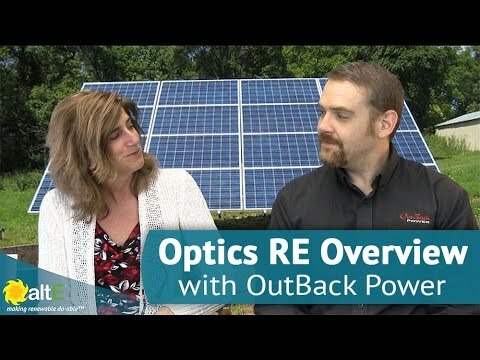 A brief overview of Optics RE; a remote monitoring system that comes pre-loaded on the Mate 3 System Controller by OutBack Power. Use Optics RE to view your marine or off grid solar power system through the internet from anywhere in the world! Solar Installers can use Optics RE to assist and help the customer make sure their system is running smoothly and get ahead of any issues. Installers can also have access to multiple systems under their login name to view all system statuses at once. It's even possible to use Optics RE without the Mate 3. Using the Mate or Mate 2, simply connect an AXS Port to allow Optics RE to work with your solar power system. 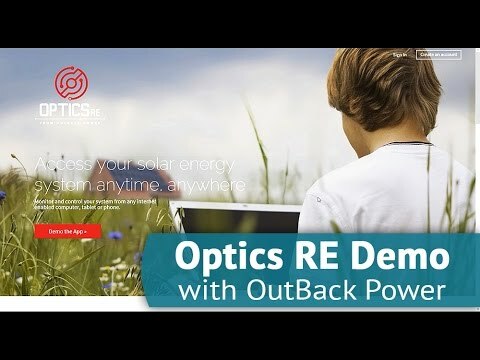 A Demo of the Remote Monitoring System Optics RE by OutBack Power is given by OutBack's John Webber. Optics RE comes pre-loaded on the Mate 3 System Controller. 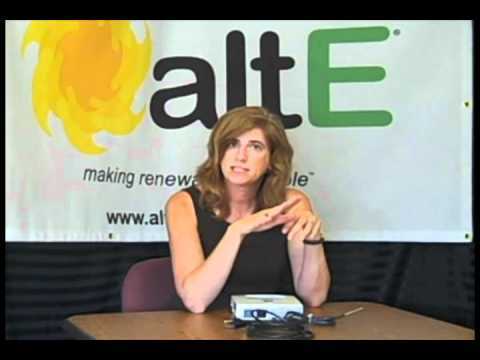 View a live solar power system in Bellingham, MA through Optics RE through a web browser. See how the monitoring system works for viewing solar system production over various periods of time, the amount of energy your system is outputting, whether your system is currently selling back to the grid or consuming and much more! The system can be used to view and analyze the ROI of you or your customer's solar power system! A quick comparison and overview of three types of grid tie inverters: a String Inverter by Fronius, a String Inverters with DC Optimizers by SolarEdge and a Micro Inverter by Enphase. String inverters are used when wiring multiple solar panels in a series string to the inverter. Advantages include ease of install and tend to be the least expensive inverter option. 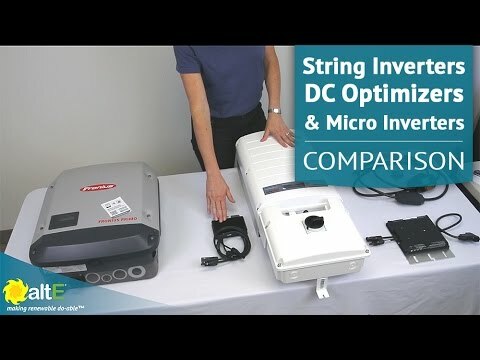 String Inverters with seperate DC Optimizers that are installed behind each solar panel, and connected by MC4 connectors, are then brought in strings of up to 5,250 watts down into the integrated DC Disconnect in the inverter. Advantages include individually managed solar panels and individual panel monitoring. Micro Inverters connect to each panel and do all inverting at the panel level. Wire up to 17 micro inverters in series and then the cables will run down directly into the AC breaker box. Advantages include ease of install, panel level monitoring, panel level invertering, and it is very expandable. Discussed in this video is how a regular grid tie solar power system works when the grid is up and when it's down, and what some of your options are when the grid does go down. 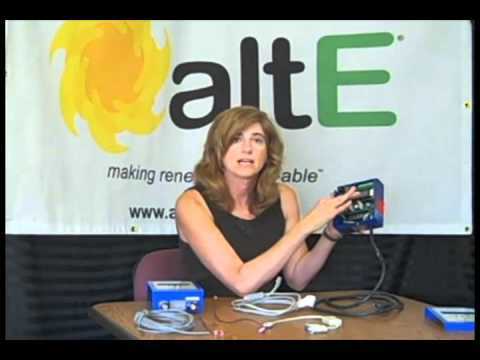 altE Store has made adding battery backup to your grid tie solar power system easy by designing some AC Coupling kits for you to add backup to your grid tie system. We can work with you to determine which kit is right for your needs, or if you need a custom designed kit. 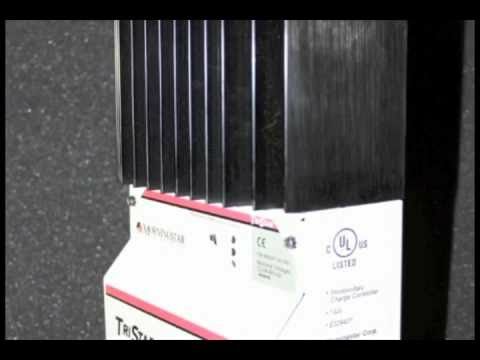 - When to use the vented inverter versus the sealed inverter. FXR Inverter Chargers available now at altE! 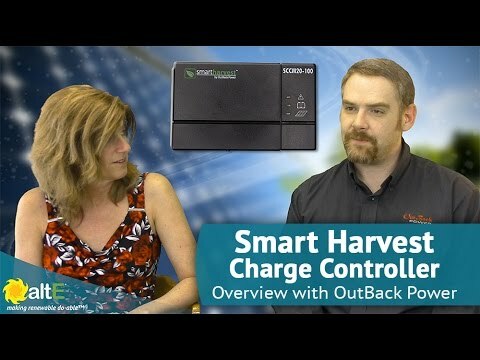 Watch this brief overview of OutBack Power's new Smart Harvest solar charge controller. Available in 5A and 10A for PWM, and 10A and 20A for MPPT. Both charge controllers auto select for the battery bank between 12V and 24V in a single package. The PWM charge controller has a low voltage disconnect load control output for features such as LED lighting, that would turn off loads if the battery gets too low. It also has a 5V USB output to charge smaller items, such as a cell phone. The maximum voltage you can put into the charge controller is 50Voc input. The MPPT charge controller has has auto tracking using the maximum power point tracking (MPPT) with 12V and 24V battery banks. It also includes remote temperature sensors in order to temperature compensate for an advance system that would be used in a harsh environment. The maximum voltage you can put into the charge controller is 100Voc input. Smart Harvest solar charge controllers, available now at altE! 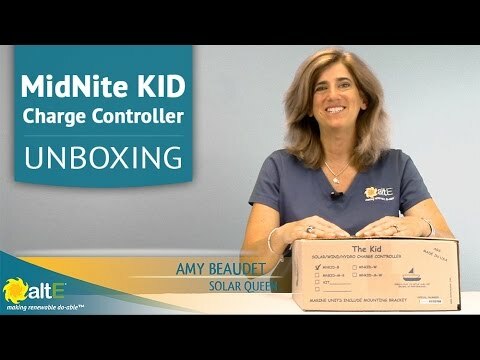 An unboxing of both the land and marine versions of the MidNite MPPT KID solar charge controller. The MidNite KID solar charge controller box includes the manual (which includes a template on the back for wall mounting), the labels, a Q&A checklist and the solar charge controller itself with a mounting container for wall mounting. Other smaller parts included are watertight glands, and fuses for setting up the KID. Does not come with a remote temperature sensor like the Marine version. This can be purchased as an additional option. The MidNite KID marine version solar charge controller box includes the manual, the marine solar charge controller itself along with more smaller parts than the original version has. The Marine KID comes with more waterproof glands because it is going to be in a wet environment, conduit enclosure, a remote temperature sensor, fuses and fittings for a nice, clean install. The marine version has a boat stand attached for mounting on a boat. 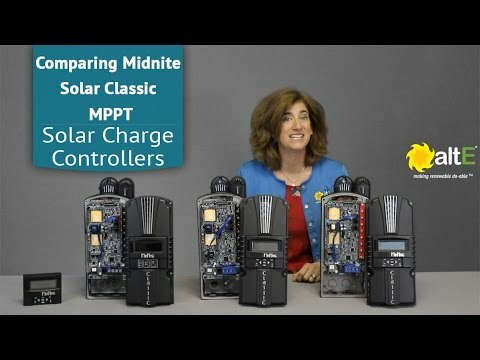 Stay tuned for the next video - an inside look at the MidNite KID MPPT Solar Charge Controller - where we will go over features and inspect the inside of the charge controller. 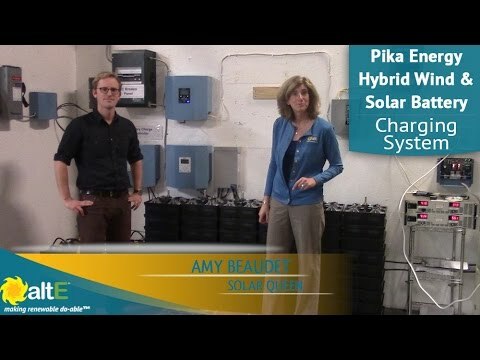 A more in depth look at the MidNite Solar KID 30A solar charge controller for charging deep cycle batteries. This video will take you inside the MidNite KID to cover the technology and all of its cool features! The MidNite KID is available in a regular or Marine version. 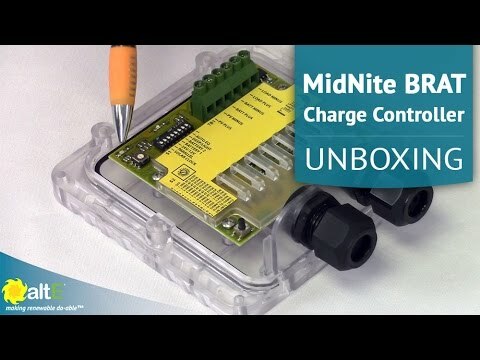 The 30A PWM solar charge controller by MidNite Solar called The BRAT, will be unboxed and its features covered in this video. The Brat has many advanced features such as low voltage disconnect, lighting control, and auto equalization. The MidNite Solar Brat comes in a NEMA 3R enclosure which works nicely for wet environments and has two waterproof gaskets for the wires. Along with the Brat charge controller, you will also find the manual and a surprise gift of MidNite branded toothpicks inside the box! Taking a closer look at the inside of the Brat, we go over its features. Seen inside the charge controller is a terminal block for PV, Battery and Load (for use as a load controller) inputs and outputs. Remember, with a PWM charge controller, you have to match the nominal voltage of the solar panel to the battery. Also, if using this charge controller for loads, it turns into 20A for charging, 10A for loads for a total of 30A. Also included is an internal temperature sensor for temperature compensation to help keep your batteries healthy. Shop for the MidNite Solar BRAT PWM charge controller here. Learn more about Solar Charge Controllers here. 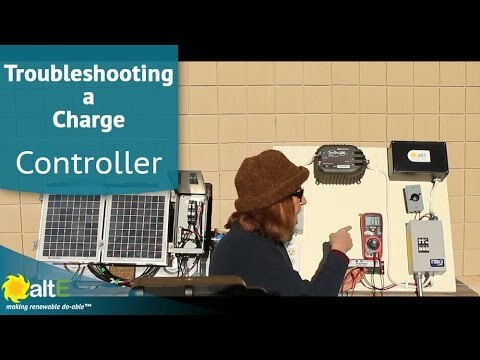 Find out the basics of a solar charge controller, what it does, how it works, and how to select the correct size for an off grid solar power system. A charge controller is an important component in a battery based solar system and are not used in straight grid tie systems. The primary role is to manage charging the battery bank, prevent it from overcharging and many control the rate of the current and voltage at which it charges. We'll cover related topics such as Bulk Charging, Absorption, Equalization, Float, Low Voltage Disconnect, PWM and MPPT types of charge controllers. 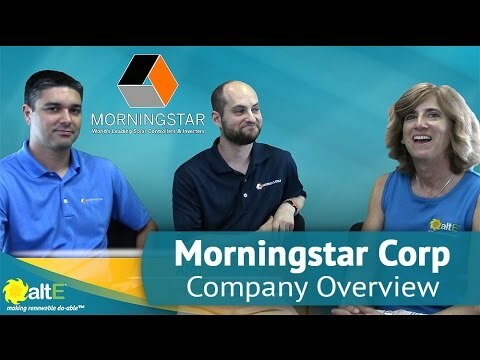 Meet Kyle Willsey and Jake Sherry from Morningstar Corporation - a world leading manufacturer of solar charge controllers and solar power inverters, founded in 1993. 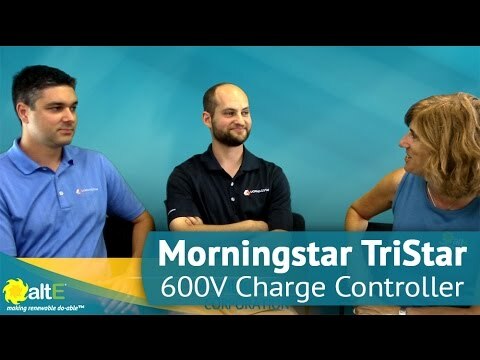 Morningstar Corp, covers the basics of their TriStar MPPT 600V Solar Charge Controller. The TriStar MPPT 600V family of charge controllers started off as a purely off grid charge controller. In its basic form, it is a stand alone charge controller, but also can come with a disconnect box for US National Electric Code compliance to disconnect the PV. It also comes available with a transfer switch variation for retro fitting grid tie systems for battery backup. All TriStar MPPT 600V charge controllers come with the option for a Ground Fault Protection Device (GFPD) which detects a current imbalance so that if there is current leakage to ground, the sensor will trip both poles of the solar array leaving the array to be worked on safely. The 600 volts is a standard for many high voltage solar power systems now to allow for longer wire runs, reducing component costs. The 600V also makes for an easy retro fit to a grid tie solar power system without rewiring the solar array. 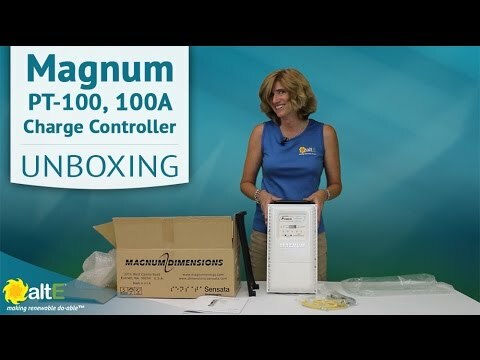 We unbox the PT 100 100A MPPT solar charge controller by Magnum Dimensions and give a brief overview of its features in this video. It's the first 100 amp MPPT charge controller on the market! On the front of the solar charge controller there is an LED display that shows the Volts In and Kilowatts of the PV array and the Volts and Amps of the Battery Bank. There are also indicators for Bulk, Absorb, Float, Fault and Auxiliary. It has both arc fault and ground fault protection for a safe install. It goes all the way up to 187 VDC temperature compensated, allowing for 3, 24V panels in series going in, or 4, 20V panels - more than you can typically do with a 150V MPPT charge controller. Use for a solar array up to 6,600 watts in an off grid system or grid tie with battery backup hybrid system! 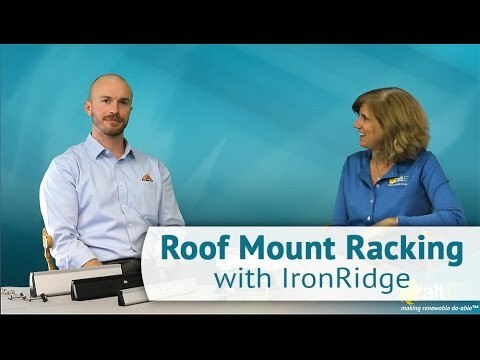 Meet Mike August from IronRidge and learn about the 20 year old, high quality, solar racking manufacturer based out of California. IronRidge makes roof mounts, ground mounts, side of pole mounts and top of pole mounts for grid tie and off grid solar power systems, both residential and commercial. 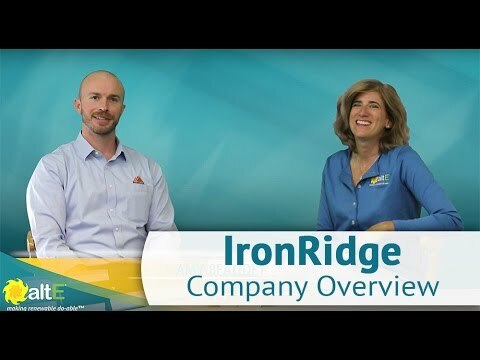 IronRidge is a time tested and ISO 9000 organization, and stands strongly behind their 20 year warranty on products. 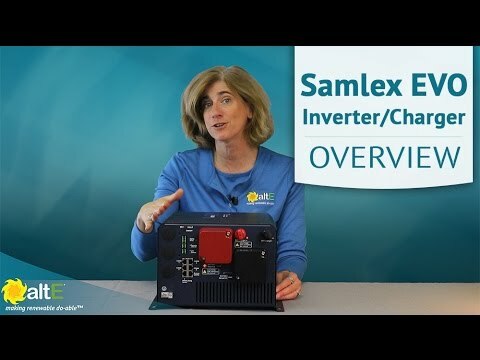 The Samlex Evolution Inverter/Charger Series, or EVO for short, and its features are covered in this brief product overview video by the altE Store. It's an all-in-one solution: Pure Sine Wave Inverter, a multistage battery charger, and a transfer switch. 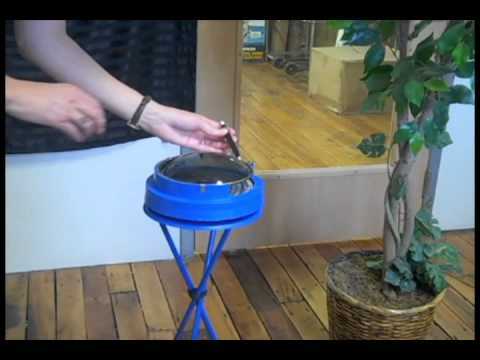 It can keep your batteries charged up and ready to go in the event of a power outage. If the grid goes out, you can automatically power your critical loads with the Samlex EVO from the battery bank. You can even charge up the batteries from solar panels and a charge controller connected to the EVO. The EVO will manage charging your batteries between the solar panels, generator, and grid. 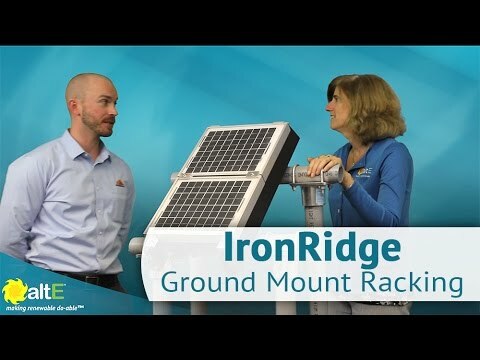 IronRidge covers the basics of their SGA ground mount solution. Build your own ground mounted solar array using the IronRidge SGA and XR-1000 components. Buy your locally available 2” or 3” Schedule 40 steel pipe to reduce shipping costs. The system is modular and can be built according you your needs, much like an Erector Set. Using 3” steel pipes, each column can fit from two to five full size solar panels high, in landscape, and three to five columns wide, giving you up to 5000W to 7000W in solar panels on only four poles. Larger systems can be designed with more than four legs. An online IronRidge Design Assistant tool can help you design the system you need. View IronRidge ground mount options here. 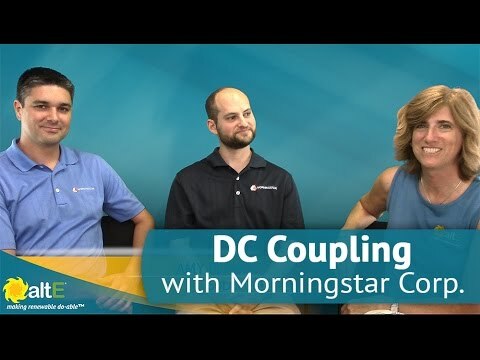 An overview of what DC Coupling is given by Jake Sherry and Kyle Willsey of Morningstar Corporation. DC Coupling refers to the method of taking direct DC energy and doing something useful with it, whether that be charging batteries or running DC loads. DC coupling can be used in an off grid system or in a grid tie with battery backup system. DC coupling is a much simpler layout, is easier in concept, better for batteries and scale-able, than AC coupling is. It causes a seamless transition of power during a power outage with a grid tie system. IronRidge XR series roof mounts have the same curved profile, and consist of three different sizes. The XR-10 is a Low-profile mounting rail for regions with light snow and/or wind. The XR-100 is the ultimate residential solar mounting rail. The XR-1000 is a heavyweight mounting rail for high snow and wind loads, ground mounts, and commercial projects. IronRidge’s online Design Assistant tool can help you configure your racking solution to be strong and code compliant. See IronRidge roof racks here. The methods used for grounding a roof mounted solar panel array are discussed with Mike August from IronRidge. He discusses the previous methods with a grounding lug on each solar panel and rail, with copper wire connecting all of them together, then he shows the improvements in process made with the availability of WEEBs. 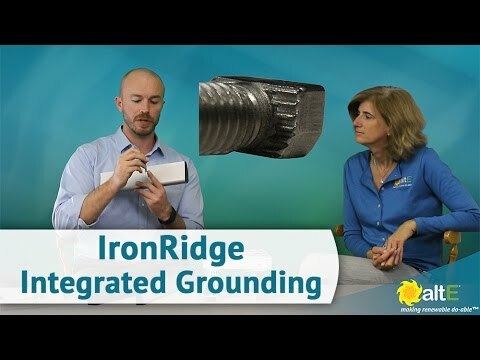 Finally he demonstrates the convenience of grounding using the IronRidge Integrated Grounding mid-clamps available with their XR Series rails. 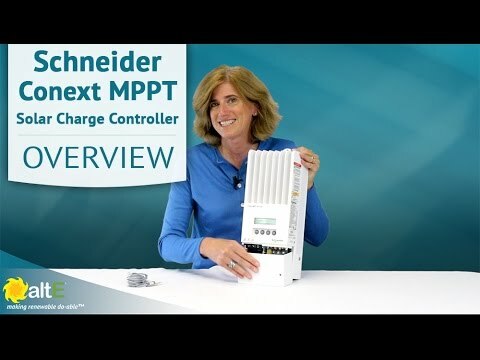 See an overview of the Schneider Electric Conext SW inverter/charger system, complete with DC and AC Switchgear breaker boxes. Conext SW is a pure sine wave, inverter/charger system with switchable 50/60 Hz functionality available for both 120/240 VAC or 230 VAC models. It is available in three models, Conext SW 2524 for 2500W 24V, Conext SW 4024 for 4000W 24V, and Conext SW 4048 for 4000W 48V. The Conext SW DC switchgear is a custom-designed DC breaker box that works with Conext SW inverter/charger, making installation easy and safe. It comes with a 250A breaker for the inverter input, and slots for 2 breakers for your charge controller input and output. It also has a knockout to install the optional System Control Panel for monitoring and configuring your solar system. The Conext AC Switchgear is a breaker box for the AC breakers for the AC input and output of the Conext SW inverter/charger. It comes with the 2-pole AC breakers pre-installed, and has 8 available slots for additional breakers for your AC household appliances. Both the DC and AC Switchgear boxes have plenty of knockout holes available to install conduit for the wires to safely run to and from the breakers. The NEW GENERATION Freedom SW series represents highly sophisticated and advanced inverter/ chargers available in 3000 W with 150 A charger and 2000 W with 100 A charger models. The second generation 2000 watt model has been completely redesigned to include many of the same great features found in its high power counterpart. A key feature enhancement is ‘Generator Support Mode’ which enables the Freedom SW to supplement a generator¹ when AC loads exceed the generator’s capacity. The new generation models also feature improved AC transfer/AC input detection time, providing the ability to transfer AC loads to batteries in less than 10 milliseconds when the incoming grid or generator power is lost. Connected loads are almost unable to feel the power transition due to this quick transfer time. Both models are approved to UL458 with marine supplement, CSA, ABYC and FCC, Class B requirements. The versatile SW Series is designed for a variety of mobile applications such as commercial, emergency and recreational vehicles, marine vessels, construction and military equipment. 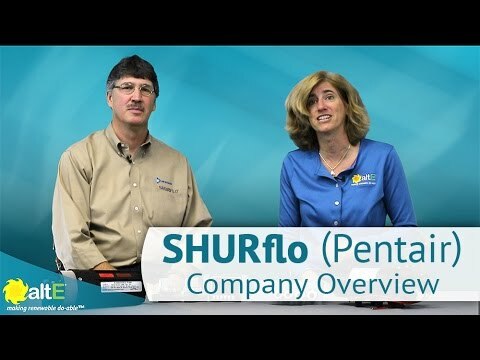 Learn about the SHURflo brand of solar water pumps from Pentair from John Wright. SHURflo has been around since the 1960’s initially serving the RV market with water pumps to today where they are making specialized pumps ranging in uses from asphalt rollers and beverage to flooring cleaning machines and (our favorite) solar water pumps for off-grid living. 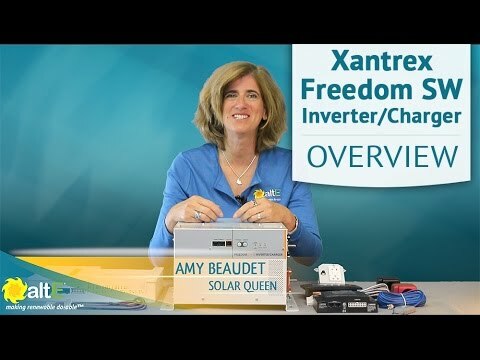 https://www.altestore.com/store/Charge-Controllers/Solar-Charge-Controllers/MPPT-Solar-Charge-Controllers/Xantrex-MPPT-Solar-Charge-Contollers/Conext-XW-MPPT-60A-Solar-Charge-Controller-XW-MPPT60-150/p5946/ The Schneider Conext MPPT 60A 150V Solar Charge Controller manages the charging of 12, 24, 36, 48, and 60-volt DC battery systems. 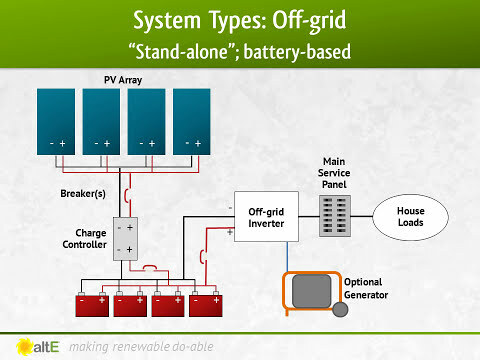 It is able to charge a lower voltage battery from a higher voltage solar array. It allows input voltages of up to 150 volts and output current up to 60 amps. 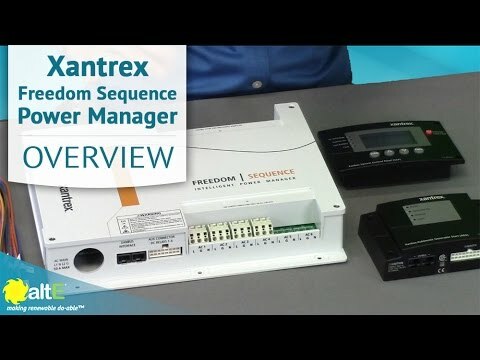 The Conext MPPT 60 150 can communicate with other Schneider devices that support XANBUS communication, providing a method for remote configuration and monitoring. It is certified to UL 1741 1st Edition and to CSA 107.1-01 for use in USA and Canada. It’s 5 year warranty ensures many years of reliable use. 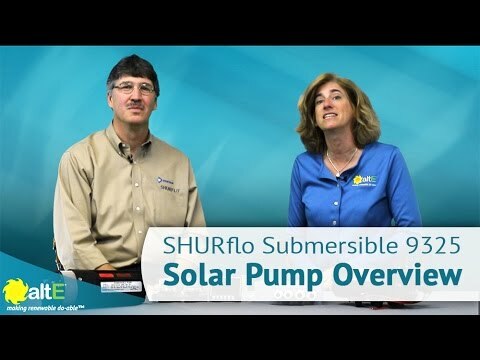 https://www.altestore.com/store/Solar-Water-Pumps/Submersible-Solar-Pumps/Shurflo-Pumps-Accessories/Shurflo-9325-043-101-Submersible-Pump/p1098/ We learn about SHURflo submersible solar water pump, the 9325, developed specifically for off-grid solar homes and cabins. It’s also used for by farmers with a small solar panel array for agricultural use such as remote water troughs. 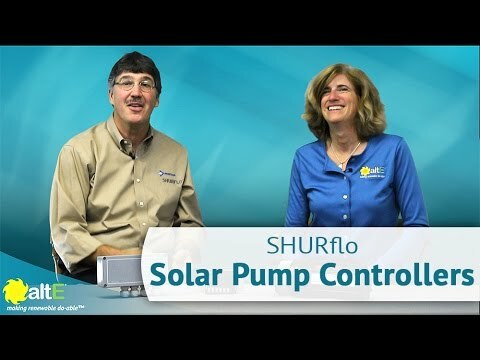 View Shurflo Solar Pump Controllers here: https://www.altestore.com/store/Solar-Water-Pumps/Submersible-Solar-Pumps/Shurflo-Pumps-Accessories/c651/page/1/sort/3a/ John Wright from SHURflo/Pentair pumps discusses the advantages of using solar pump controllers, the 902100 and the 902200, with their 9325 solar submersible pump. With a pump controller, solar panel directPV Direct systems are able to pump up to 30% more water than without a controller. It will start the flow earlier in the day and continue pumping later in the afternoon, as well as improve performance on less than optimum solar days. See options of mono and poly solar panels at altE’s website: https://www.altestore.com/store/Solar-Panels/c541/ . 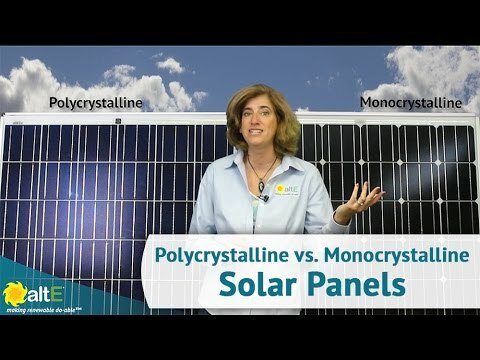 We often get asked by customers what’s the difference between monocrystalline and polycrystalline solar panels. Here’s a surprising comparison of the differences (hint: not as significant as you might think). 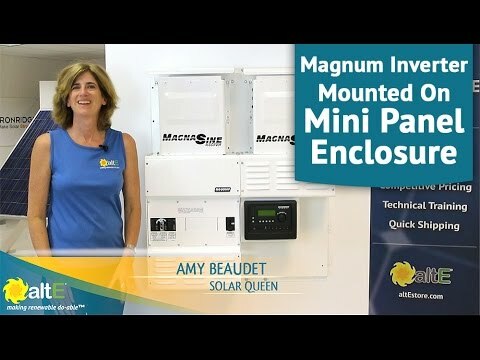 The Mini Magnum Panel (MMP) enclosures have been designed to make it easy for you to mount all of the major components required for a solar power system. It has the Magnum inverter/battery disconnect, AC overcurrent protection, grounding connections, and a full system inverter bypass switch already installed and wired. Designed for one or multiple inverter applications, the Magnum Panel enclosures feature convenient front panel operation, and when used with the optional Magnum Router, the MMP will allow you to easily set up, monitor, and operate up to four Magnum MS-PAE inverter/chargers together. In addition to saving time and money by providing a simple and convenient inverter installation, the Magnum Panels ensure safety and reliability by providing a UL and CSA certified and code compliant system. 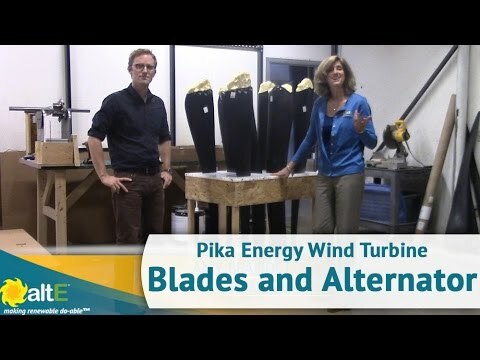 https://www.altestore.com/store/Solar-Power-Systems/c447/ altE visits Pika Energy in Westbrook, Maine and gets an inside look at the T710 wind turbine injection molded bladed and alternators. The glass reinforced polymer blades are strong and lightweight, resulting in the quietest wind turbine tested by the Small Wind Certification Council (SWCC). Pika Energy makes their own alternators in their Westbrook Maine facility, ensuring a high quality made in the USA product. 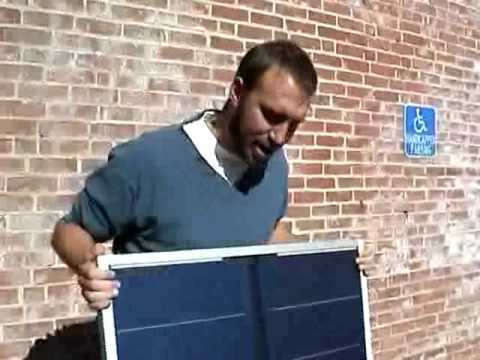 Learn how to troubleshoot your solar panel system. 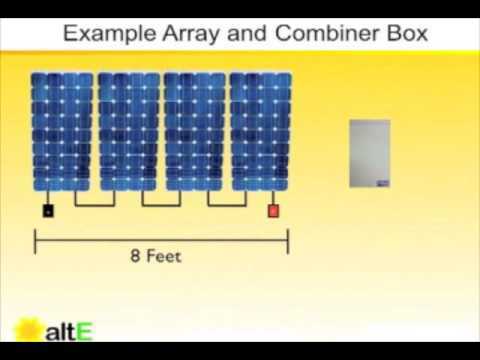 We show you the basics behind understanding where you might be having problems with your solar panel array that is being combined into a combiner box. 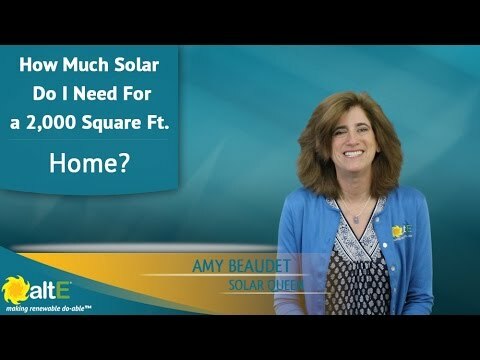 https://www.altestore.com/store/Solar-Power-Systems/c447/ This video discusses one of the most common questions we get, “how much solar do I need for my square footage house”. We explain why square footage is not the best way to determine your solar requirements, your electric bill is. 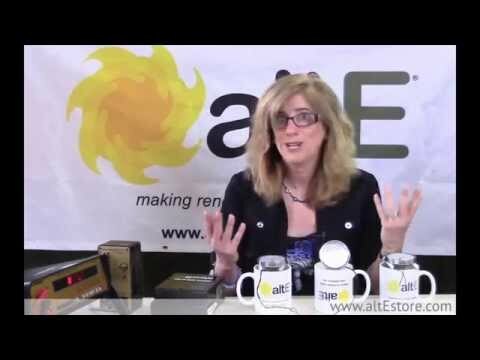 https://www.altestore.com/store/Solar-Power-Systems/c447/ In this video, we explore how to determine how much power a 100W solar panel will generate, what size battery and charge controller you need to store the power, and some ideas of what you can power with it and for how long. We also show you how to do the calculations for yourself to figure out what you could do with off grid solar. https://www.altestore.com/store/Solar-Power-Systems/c447/ Join us as we step through how to troubleshoot your off grid solar electric system. We use a multimeter to check both the volts and amps throughout the system, testing the solar charge controller input and output, and isolating the solar panels to locate a poorly performing solar panel. https://www.altestore.com/store/Solar-Power-Systems/c447/ altE Store visits Pika Energy in Westbrook Maine. Chip Means shows us an overview of their power electronics products used to charge batteries and invert the DC power to AC. 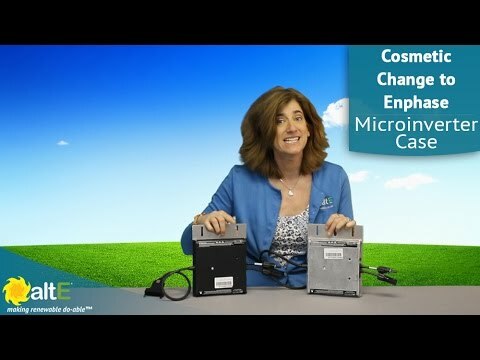 https://www.altestore.com/store/Solar-Power-Systems/c447/ Enphase has changed the case for their microinverters from black to silver. After rigorous testing, it was determined the black was not needed. There is no performance or durability change to the product. 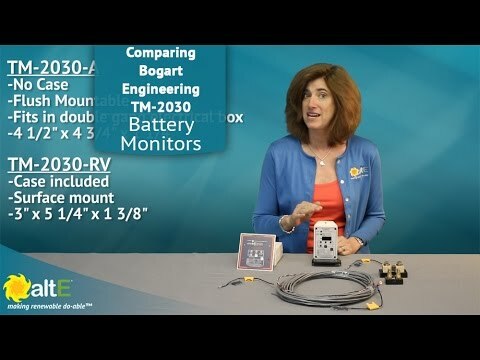 https://www.altestore.com/store/Solar-Power-Systems/c447/ Bogart Engineeing has two models of their TM-2030 battery monitor. The TM-2030-A does not include a case, so it may be flush mounted into the wall, or mounted in a double gang electrical box. The TM-2030-RV has its own case that can be surface mounted. Both models have datalogging capabilities for troubleshooting and monitoring the health of your off grid solar system. 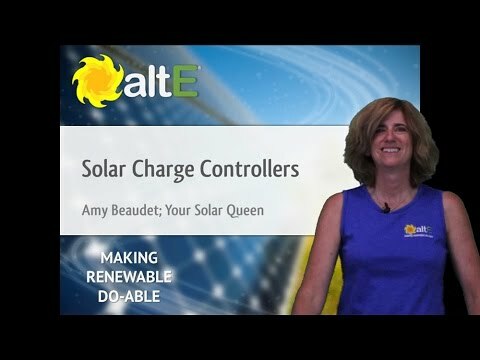 https://www.altestore.com/store/Solar-Power-Systems/c447/ See the difference between the Midnite Solar Classic charge controllers. They have 9 different models, we help you determine which are the right ones for your DIY solar project. The Classic is the full featured model that supports solar, wind, and hydro renewable energy sources. It has a graphical display panel and push buttons for configuration, Ethernet connectivity, and has both ground fault and arc fault protection. The Classic Lite supports all three renewable energy sources, but does not have a graphical display, it uses LEDs to show status and DIP switched for configuring. The Classic Lite has Ethernet connectivity and ground fault protection, but does not have arc fault protection. The Classic SL falls in between the two other models. It supports only solar as a renewable energy source. It does have a graphical interface and push buttons, but does not have Ethernet connectivity. It does have ground fault protection, but not arc fault protection. All Midnite Solar Classics are available in three voltage and current ranges; 150V 96A, 200V 79A, and 250V 63A. 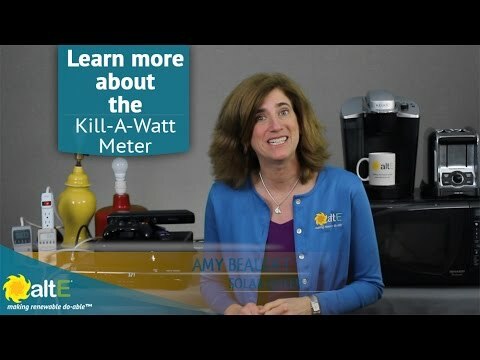 https://www.altestore.com/store/Solar-Power-Systems/c447/ In this video we show how using a Kill A Watt meter before installing a grid tie solar system can help you identify ways to save electricity. By reducing the amount of power you use before buying a solar system, you can reduce the size of the solar system needed, saving you even more money. Are LED Light Bulbs really worth the extra cost? 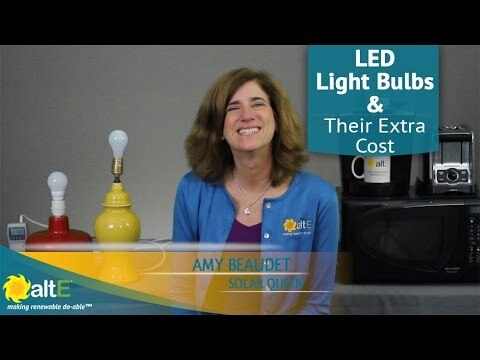 https://www.altestore.com/store/Solar-Power-Systems/c447/ In this video we show how you can save money by replacing your cheap incandescent light bulbs with more expensive LED light bulbs. We use the Kill-a-Watt power meter to measure actual power consumption by two lumens equivalent bulbs. 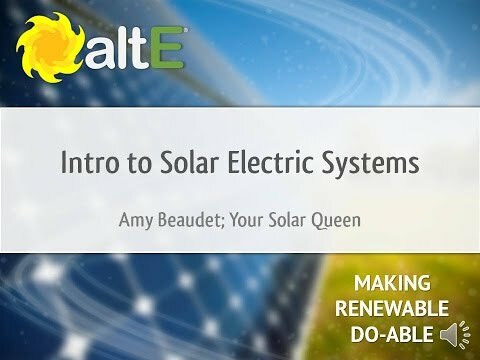 https://www.altestore.com/store/Solar-Power-Systems/c447/ In this video we show how using a Kill A Watt meter to determine your loads list, allowing you to accurately size and design your off-grid solar system. 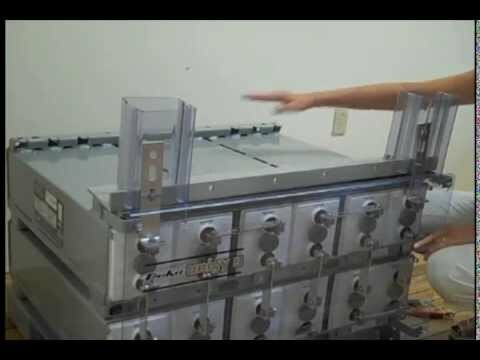 An overview of the Deka Unigy II AGM Battery Banks. A brief overview of the Morningstar Tristar Pulse Width Modulated (PWM) Charge Controllers. Brief overview of the Pulse Width Modulated (PWM) Charge Controllers by Morningstar Corporation. An overview of the AC and DC versions of the Eagle 2 Differential Temperature Controller (DTC) by IMC that is used is solar water heating systems. 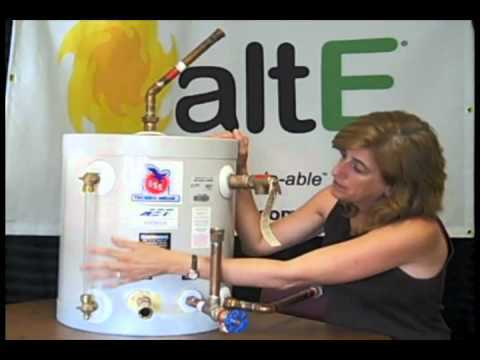 An educational overview of the AET Drainback Tank from altE's very own Solar Thermal Queen, Amy. 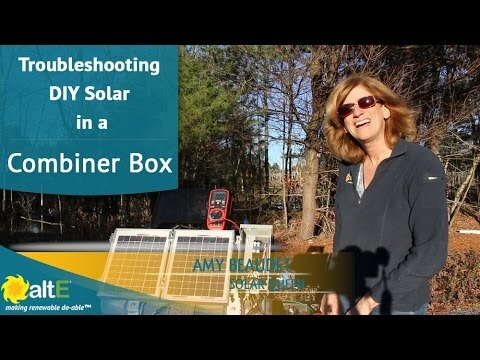 An educational overview of the Solar Pathfinder and how to use it to analyze your solar site and find the perfect location for your solar panel or array. An overview of the 10 Watt Kyocera solar module. 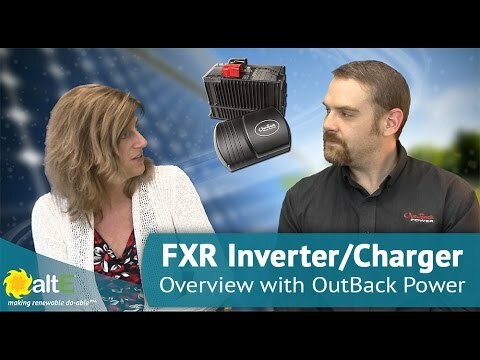 An overview of the FLEXmax MPPT Solar Charge Controllers offered by Outback Power Systems. A quick glimpse of an active Air X Marine Wind Turbine on a boat. 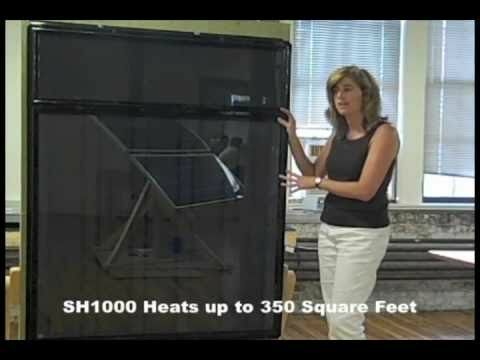 A look at a solar air heater and how it operates both inside and outside of a house. An overview by our very own Solar Thermal Queen of the SunEarth TR 301 (SETR 0301) differential temperature controller. Learn about the Kyocera 50 Watt solar panel, it's features, form factor and capabilities from the solar experts at the altE Store. Learn how Morningstar's Prostar series of solar charge controllers work, their functions, benefits and practical applications with solar panel systems. 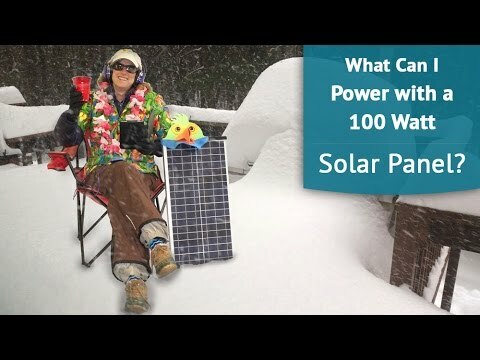 This video demonstrates the usage of MC connector extensions in wiring a solar panel array. 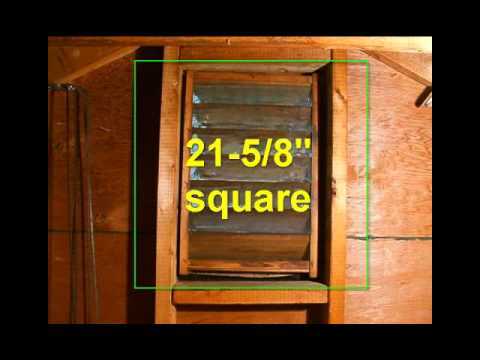 Installation of a solar attic gable fan is one of the easiest do-it-yourselfer renewable energy home projects you can undertake. 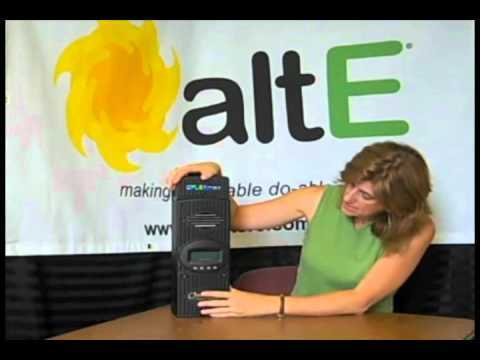 This AltE Video Tip shows you most of the steps involved in a typical installation, as performed by one of our staff. You'll see all the kit components and learn what to do and what not to do in this brief, narrated video. 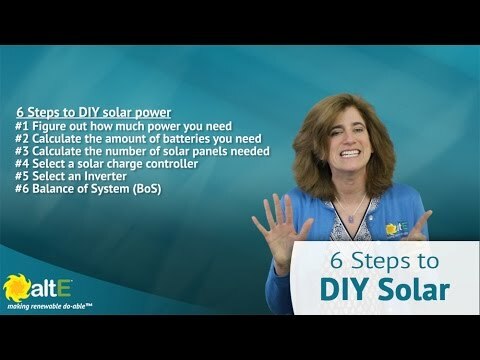 Learn how to test your solar panel with a multimeter. 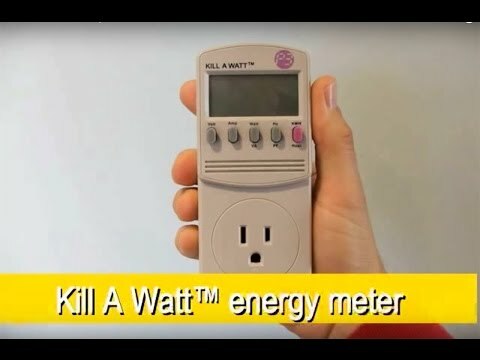 See the Kill A Watt in action and learn how to use it at your home.